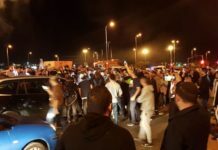 Just under three years ago, on a warm Friday night in Sderot, Noam Bedein was forced to flee his synagogue in the middle of a shabbat service when the dreaded “tzevah adom” (color red) siren bellowed warning through the Negev speakers. 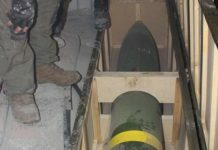 An incoming Qassam rocket was rapidly on its way, approaching the Western Negev city from the Gaza Strip, and within 15 seconds a huge explosion was heard no more than 50 meters from the synagogue. “There really wasn’t much you could do at the time besides pray,” Bedein recalled. Bedein knew at that time he needed to act for the people of Sderot. And act he did. 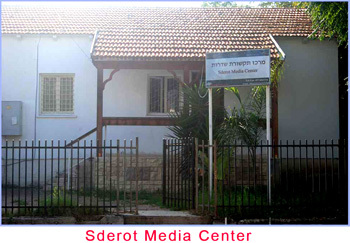 Bedein founded the Sderot Media Center, a non-profit organization located in the heart of Sderot that acts, among other things, as a media outreach center designed to present the Israeli perspective of a community living in constant threat and terror of Qassam rockets launched from Gaza. 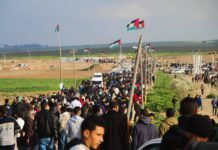 What began as a grass-roots movement with nothing more than a laptop, borrowed from a friend, the Sderot Media Center thrives off circulating information and personal stories of the citizens of Sderot and the Western Negev among media outlets, diplomats and students from inside Israel and around the world. What proves so challenging for Bedein and the organization’s six other employees is, in fact, that counter-balancing. In light of the massive discrepancy between the destruction in Sderot and in Gaza, along with the disproportionate death tolls, the SMC is going up against millions of dollars in media campaigns by Hamas in Gaza that has the ruins to add fuel to their media campaign fire, while the Sderot community takes priority in re-building the Qassam devastation in a just and timely manner. However, through testimonials, documentaries, short stories and hard evidence, the SMC continues to fight to make their voice, along with the voices of the citizens of Sderot, heard loud and clear. The Center divides its time as requested. Student groups round out about half of the visitors to the Center, while foreign press, diplomats from abroad and humanitarian groups demand the remainder of the Center?s time and attention. 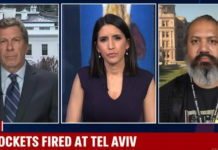 In addition, Bedein has traveled the globe from parts of Europe to Capitol Hill, even presenting the Goldstone Committee, which investigated Israel’s offensive in Gaza, with an unofficial Israeli perspective of material and video footage of the rocket reality in Sderot. Bedein has recently come to the realization that his privately funded Sderot Media Center has become recognized as an international source of information. 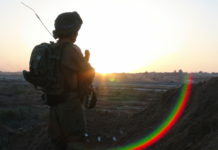 Another aspect of the Sderot Media Center, the most powerful in Bedein’s view, is the creative, self-expression aspect the organization cultivates to actually help deal with the trauma brought about by nine years of rocket fire. Just a few months ago, the SMC organized a plethora of drama sessions for 40 teenage girls from two high schools in Sderot, alongside psychological treatment, to teach the girls how to express themselves by acting out the stories of growing up under the constant threat of rockets. Coined the Community Treatment Theater, the girls performed outside Sderot for the first time when they traveled to the Merkaz Hamagshimim Hadassah in Jerusalem and performed before a large, diverse audience just last month. The purpose of the performance was not only to allow the girls to express themselves, but also to raise awareness of what their life has been like growing up in Sderot. The SMC is proud of the fact that they are a private initiative, receiving no funding from Israeli government of any kind, and the reality is that they don’t want it. Bedein prefers to stay far away from any sort of bureaucracy that comes along with getting government funds, and it is very important to Bedein and to SMC to retain the organization’s private status. 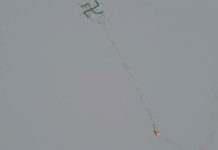 I`m very happy to read about this Action Sderot Rally for hope: Stop rocket attacks on civilians! I would like to be with you but unfortunally I can`t. But IÂ´m with you with my heart. 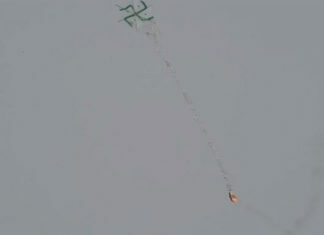 I`wonder whether my banner "HAMAS STOP THE BOMBING NOW" is still in action down at the Sderot junction? pls. send your E-mail address, so I can send you unique collages about Sderot, most of them were published around the world. I might produce othe collages (free) on your request.